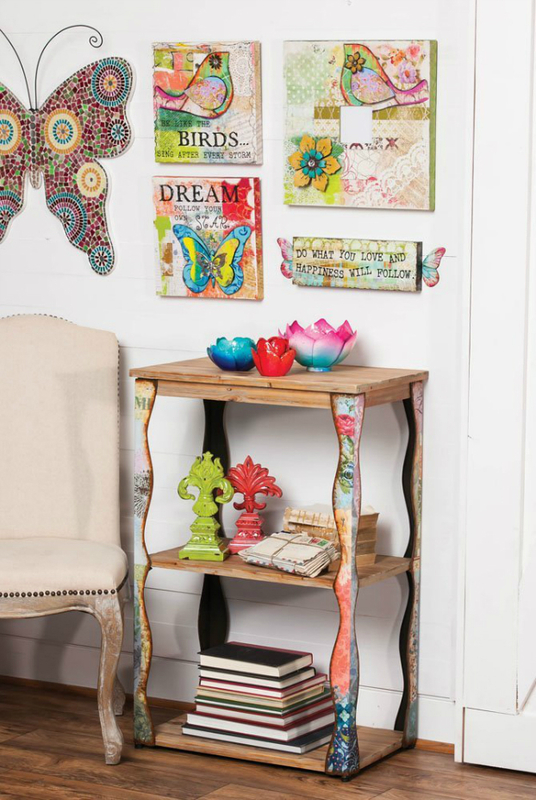 If boho chic is your thing, you’ll love these summer bohemian decorating ideas. 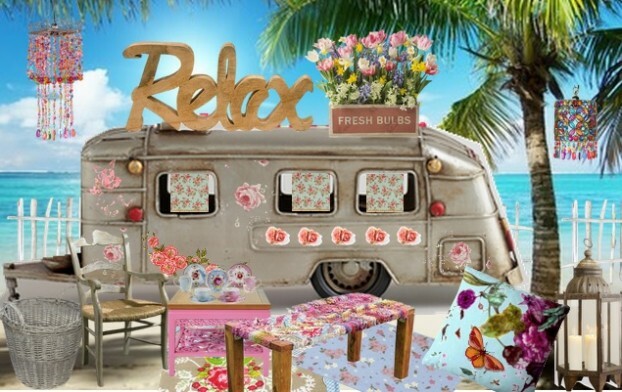 Boho chic style with use of the 1970s decor, mix & match funky fabrics and colorful and vibrant color schemes make home decor truly unique and intimate. Four Petal Beaded Ceiling Lantern, $128.00. Fun and fanciful overhead light fixture or lantern style hanging lamp. Practical for use over a reading chair, desk or table top. 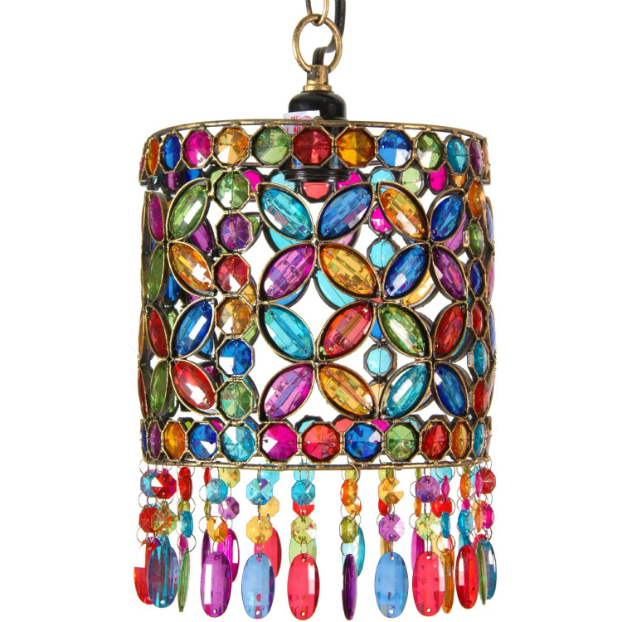 Colorful cylinder style shade inlaid with faux cut crystals and hanging faux jewel baubles. Stylish lighting perfect for boho chic interior design. Timorous Beasties Butterfly Blurr Cushion, £85.00. 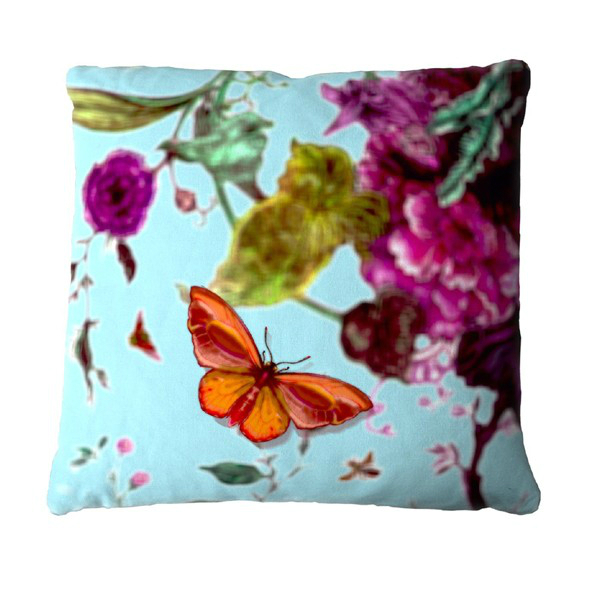 Simply stunning Butterfly Blurr cushion with unusual blurred focus background and sharp butterfly which has a 3D effect. 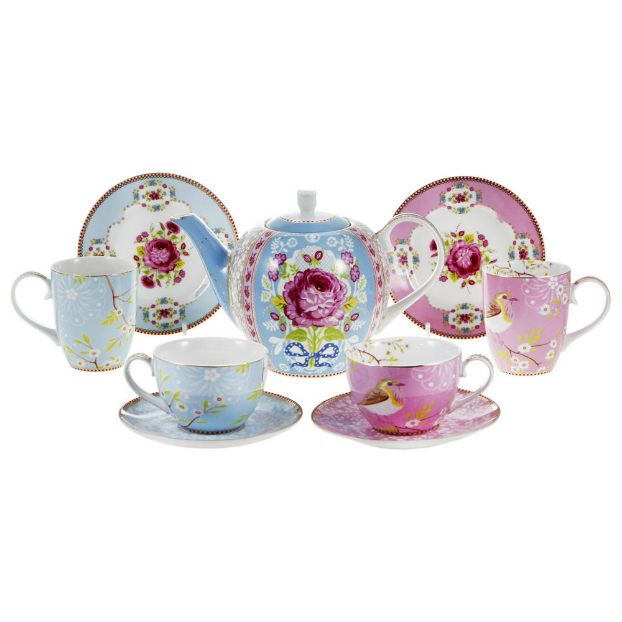 Early Bird Tea Set – Blue 24 Piece Set , $243.00. Pip Studio dinnerware will delight guests with captivating patterns in a bright, fresh color palette. Casual for everyday use but beautiful enough for entertaining, Pip patterns layer well to create an entire place setting or mix and match sizes and colors to create an expression of your own personal taste. Antique Revival Wooden Square Sink, $55.99. Add a piece of Asian history to your home with this Chinese vintage square sink. 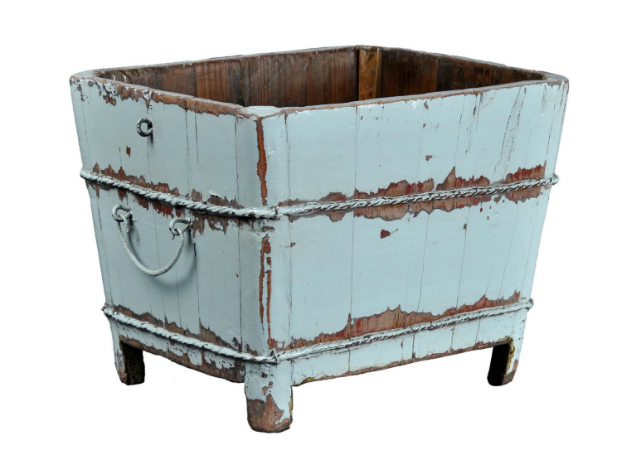 Refinished with a distressed layer, this original vintage piece is an excellent decorative accessory that can be placed anywhere in your home and blend in with no problem. Handcrafted and hand finished, this piece is not to be missed out on. Table runner Shabby Chic khaki , $60.00. 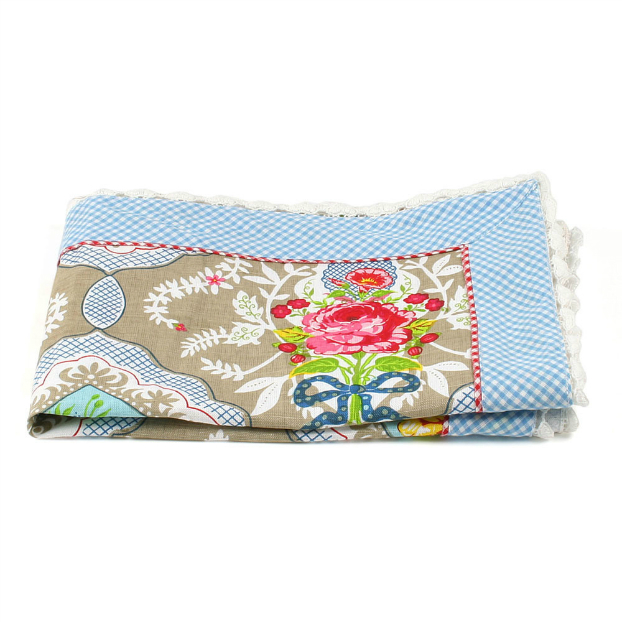 Decorate your table this attractive Shabby Chic table runner by Pip Studio. Feminine and colourful, it features a vintage floral design on a khaki background with stylish gingham edging. It is perfect for special occasions but will also be a fabulous addition to everyday settings. Traditional Decorative Ottoman – Foot Stool-Indian Comfortable Floor Cushion , $47.00. From Handmade Expressions, a fair trade group sometimes all you need is one work of art to bring an entire room together. 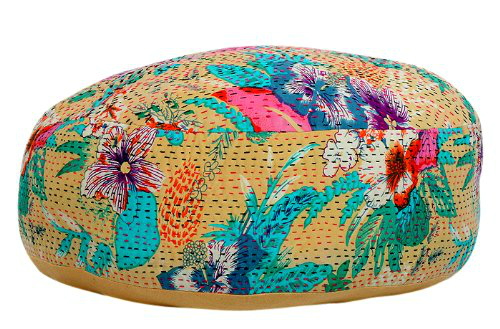 Cotton fabric – they all lend a hand in giving this handcrafted ottoman its fantastic worldly flavor. Because each is handmade using recycled textiles, no two are exactly alike. Indian ottomans and floor pillows look great in any setting, and are a great and affordable way to add some comfortable seating for your guests! 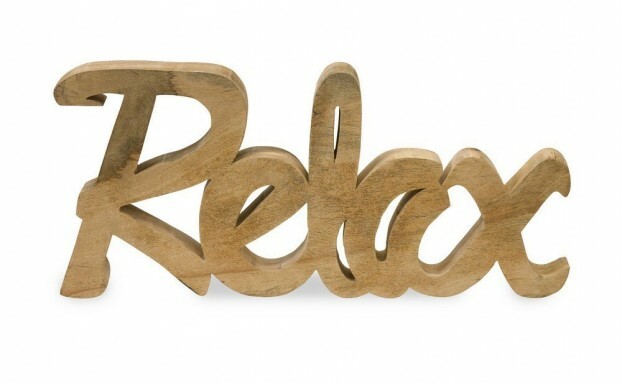 Relax Mango Wood Decor , $49.61. Sometimes we need a reminder to stop and smell the roses, and the Relax Mango Wood Decor – 25.5W x 11.5H in. gives us permission to do just that. The durable mango wood construction features a honey finish that melds with any decor. Feel instantly at peace every time you see this piece. Ocean Blue Glass Azul Serenity Hanging Candle Lantern , $13.92. Deepest ocean blue adds exotic enchantment to a captivating dance of color and light. 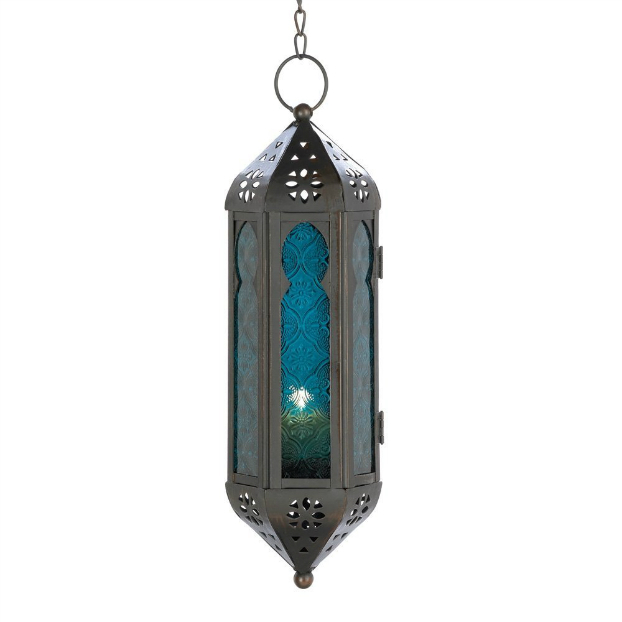 Ornately fashioned in the Moroccan tradition, this hanging lantern fills your surroundings with worldly intrigue. DIAIDI Classic Bohemian Polka Dot Printed Bedding Cotton Queen Duvet Cover 4Pcs , $140.00. This Cotton Bedding Sheet is soft, durable and easy to care for. Elegant pattern, which adds a sweet, vibrant tone to your bedroom. Classic, sophisticated and intricate. 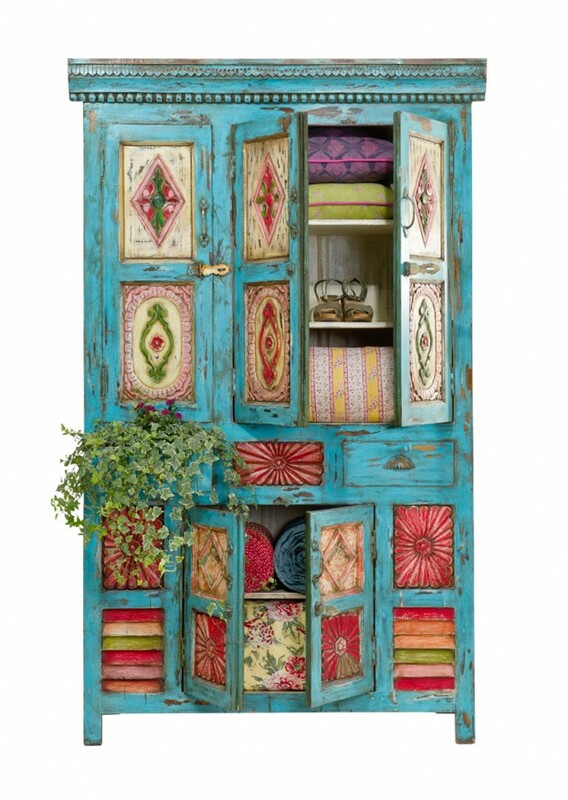 Bohemian Patterned Metal Leg and Wood Bookshelf , $312.38. Add some personality and charm to your loft with this uniquely crafted bookshelf. Created from wood and metal, this bookshelf has a vintage appearance, giving it a hip and trendy vibe! ILLUME Pineapple Cilantro Color Block Tin-11.9 oz. , $21.00. 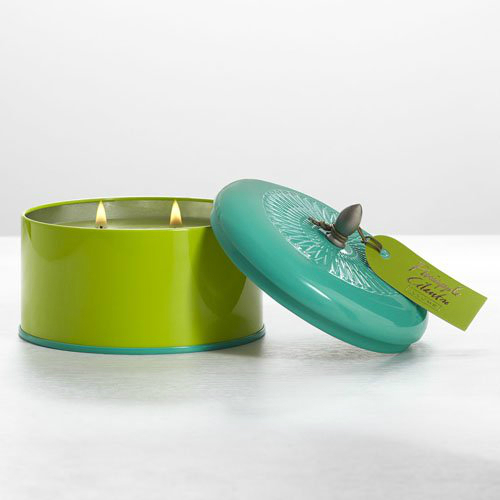 The Pineapple Cilantro Color Block Tin candle features a bold combination of juicy pineapple and fresh cilantro that is now available in a new oversized tin that is crafted with an all-natural blend of coconut wax, beeswax and essential oils with two wicks for optimal burning. Make a fashion statement in any home with the color block tin that features an embossed geo-glam medallion and brushed metal knob, accented with hang tag.